The annual news that St. Louis beer lovers wait for all year long is out. The release information for the renowned local beer, Abraxas. Few local releases are more anticipated as Perennials release of their winter favorite. This year, Abraxas Week is October 30th through November 4th, and the brewery has several surprises in store for fans. Abraxas packages will be made available as well as individual releases for Abraxas and the variants. Variants, plural? That’s right. Vanilla Abraxas was a huge hit and will be bottled it again in 2018! Coffee and Vanilla Abraxas bottles will be included with the Abraxas package and will also see an individual release. Vanilla Abraxas, like Coffee Abraxas is a tasting room-only variant. Beginning Friday, October 19, at 11:00 AM CDT, Abraxas Package tickets will be available for $100 (plus Eventbrite fees) at abraxas2018.eventbrite.com. Valid ID will be required at pickup. Name on ID must match buyer name or proxy name. Duplicate ticket purchases will be refunded. No refunds will be given for unclaimed packages. A limited number of Abraxas and variant draft pours will be available throughout the week. If you don’t want a package, but just want a bottle, a limited number of Abraxas bottles will be available for purchase in the tasting room beginning on Saturday, November 3, at 12:00 pm. Abraxas will also begin distribution in all markets during the second week of November. A limited number of Vanilla Abraxas bottles will be released Tuesday, October 30, at 4 pm. Draft pours available at 6pm. 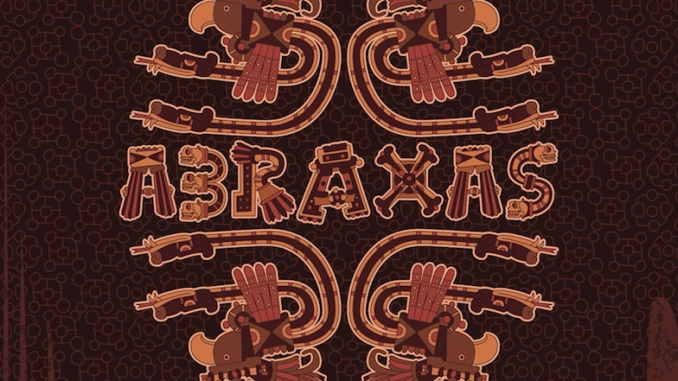 A limited amount of Coffee Abraxas (Sump Colombia Cauca) will be released Thursday, November 1, at 4 pm. Draft pours available at 6pm. In-person sign-ups for Abraxas packages will be made available on Wednesday, October 17 AND Thursday, October 18, in the tasting room from 4:00 pm to 8:00 pm. A payment of $100 is required at time of sign-up and you must select your pickup date at time of purchase. Sign-ups are limited to one per person. If you would like to designate a proxy for pick up, you must do so at time of purchase.